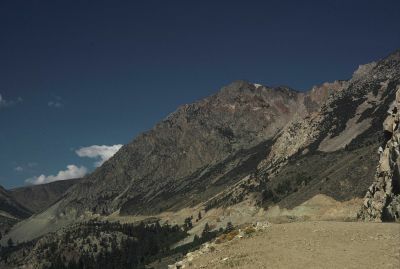 In Kings Canyon National Park, prominent ridges extend westward from the crest creating the Goddard and Monarch divides with mountains taller than 13,000 feet. In the parks, Kings Canyon is a wide glacial valley featuring spectacular tall cliffs, a lovely meandering river, green vibrant meadows and beautiful waterfalls. A few miles outside the parks, Kings Canyon deepens and steepens becoming arguably the deepest canyon in North America for short distance.